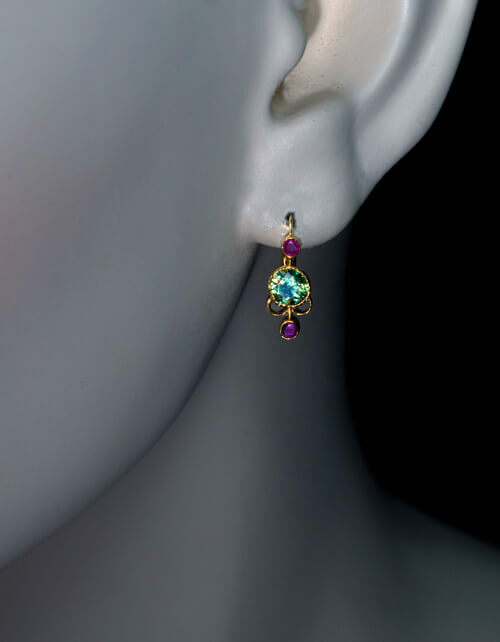 This pair of antique Russian 14K yellow gold earrings features two sparkling demantoids (0.53 ct and 0.54 ct) of an excellent apple green color, each accented by two rubies. Total demantoid weight is 1.07 ct. 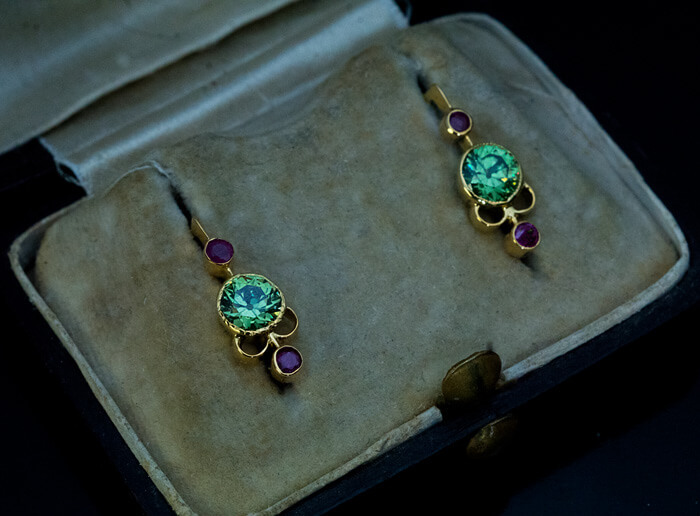 The earrings are marked with 56 zolotnik Imperial gold standard and maker’s initials. Total length with earwire 15 mm (5/8 in.). 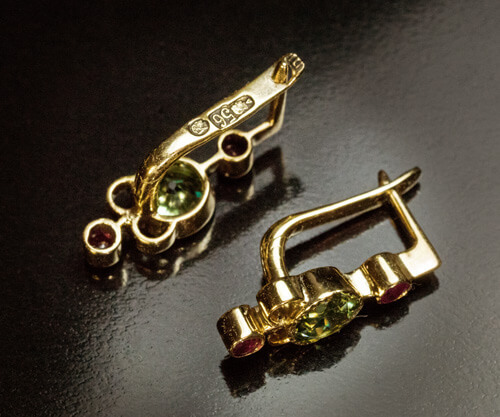 Diameter of each demantoid is 5 mm.